Russell Hamarnah, DMD, an Orlando dentist, helps patients with missing teeth by offering full and partial dentures. Dentures are a more affordable solution than dental implants, and they do not require permanent placement in your mouth. They can be custom made quickly and affordably. Dentures and partial dentures are also removable, allowing you to more easily care for them. Patients missing several teeth in an arch often opt for partial dentures in Orlando. Partial dentures replace the missing teeth by filling in the large gap with artificial teeth. They also stabilize the arch and prevent the remaining teeth from shifting. For patients missing all of the teeth in the upper or lower arch (or both), full dentures are often recommended. Dr. Hamarnah offers both conventional and immediate dentures. 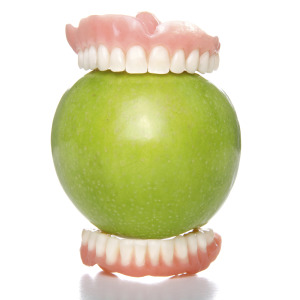 With conventional dentures, your dentures will be made and fitted after your gums have healed. With immediate dentures, they are made and fitted immediately after your teeth have been removed. Both have their advantages and disadvantages. For example, with conventional dentures, the delay between teeth removal and finally receiving your dentures means being without teeth for several weeks. With immediate dentures, you'll be able to wear your new dentures immediately. However, you will likely need to have them adjusted once your gums heal and are no longer swollen. Dr. Hamarnah wants you to love your new dentures. From the beginning, he takes precise measurements and impressions of your mouth so that your custom dentures will fit properly. Once your dentures have been crafted, he fine-tunes the adjustment for the most comfortable fit. Dr. Hamarnah also provides you with care instructions and guidance as to what to expect as your mouth adjusts to your dentures. Are dentures or partial dentures the right choice for you? Schedule an appointment with Dr. Hamarnah in Orlando to learn more about your options.